Many people that I know who have gone to see the Hobbit have come back unimpressed or annoyed with the film. I LOVED it. When those non-specific people, cough Loziers cough, gave me their reasons for not liking the movie, I was very annoyed... I considered the demands that they were placing on Peter Jackson and his team to be very high and unreasonable. So, as a method of venting my anger, here is how to watch the Hobbit. If you've read Lord of the Rings and the Hobbit, please, go back, and READ THE APPENDIXES!!! Lots of Gandalf's storyline, meaning all the stuff with Radagast, Saruman, and Galadriel, is found there. It is a very important storyline, and it was not added to make the movie's more epic. Don't refer to the Necromancer storyline and say that they're "making it too much like the fate of the world is in the balance"... IT IS! Realize that Howard Shore is the same composer he was 12 years ago. Composer's tend to have a certain style, or feel, that they like. Therefore, yes, the music will have the same sound, but it isn't ALL from LOTR. There are two songs in the first hour of the movie that are sung by the dwarves that I can GUARANTEE weren't in LOTR, and I'm sure most of the other music is different too. 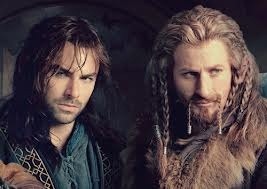 (just for my girls) look into Fili and Kili's eyes and tell me that dwarves can't be cute. Yeup, step 5 is impossible. Understand that Radagast only made one appearance, in flashback nonetheless, in LOTR and it was one paragraph, that didn't even make it into the movies. Besides that, pretty much all Peter Jackson, Philippa Boyens, and Fran Walsh had to go off of when writing that character, who was very necessary for the Necromancer plotline, was a few lines of Tolkien that are about him over 2000 years ago, when the wizards were first sent to Middle Earth. Since then, Radagast has lived mainly apart from any human, elven, or dwarven company. He has been on his own, caring for a bunch of little animals in a huge forest. Give him a break and let him be an oddball! Sylvester McCoy rocks! If you have problems watching 3D films at a normal frame rate, don't go to the HFR showing. Please. safe yourself the stomachache and all of your friends who loved the movie the attitude. Let Azog be. 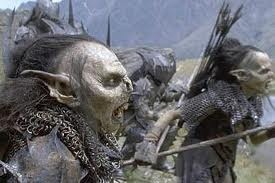 The Pale Orc had a good place in the movie. If we didn't have a climax, we'd kill ourselves, and the fact is that, unlike LOTR, the Hobbit is not pre-divided into three parts. Know that there are ways to make things epic, rabbits and cariboo being used for locomotion are two of those ways. Riding cariboo almost makes sense to me... I mean really, who wouldn't want to ride a cariboo?? Attempt to come up with a way to make a 3 hour long movie, about a third of a children's book, that is mainly about a short guy with fuzzy feet sitting on a pony and missing his tea kettle, without adding a fight scene... I dare you.